The Delmar Loop got its name from the Trolley turnaround in the area in the early 1900’s. Although it has been decades since a trolley ran in the area, Blueberry Hill owner Joe Edwards spearheaded a project to return streetcars to the popular strip. Groundbreaking for the project will occur sometime in the year 2013. 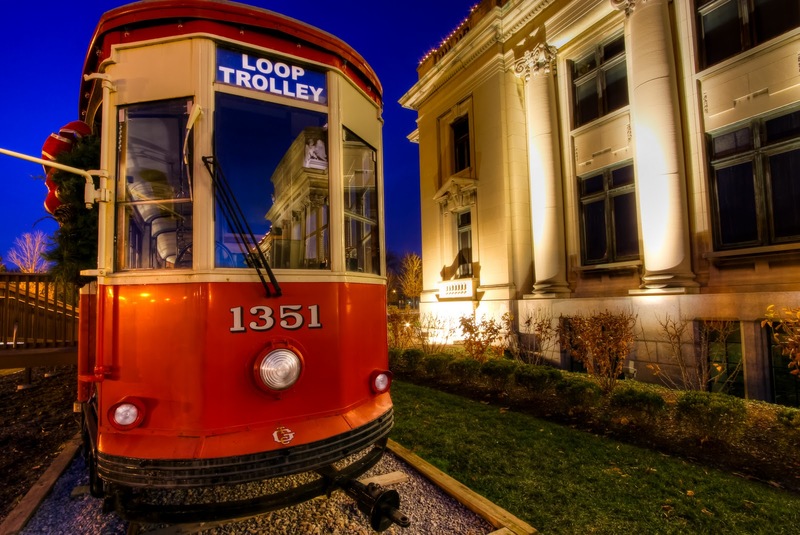 The Loop Trolley will run from the City Hall of U. 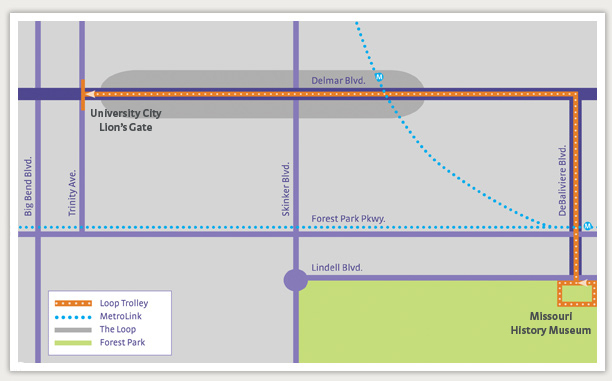 City, through all the Delmar Loop attractions, ending up at Forest Park’s History Museum, connecting two existing MetroLink Stations in the process.